No one has ever gone the full distance in both academic science and cinema the way that Randy Olson has. After achieving tenure as a marine biologist, he then at age 38 retrained himself as a filmmaker by going the full distance of the U.S.C. Film Production M.F.A. Program. These two sets of career pathways give him a unique perspective on the importance of visual communication, spontaneity and storytelling to the mass communication of science. Drawing on the two year acting program he endured and all the experience gathered in twenty years of filmmaking, the book presents a model for the effective communication of technical information to broad audiences. Nature called it, "An excellent explanation of why scientists have problems communicating with the public," and Science said, "It ought to be required reading in all graduate science programs." 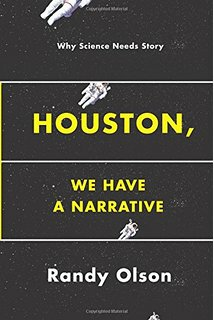 The power and importance of storytelling is now widely accepted, but this book goes further to focus on storymaking. 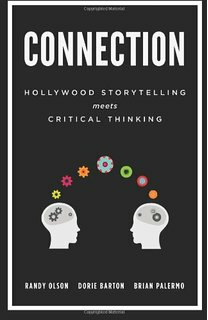 CONNECTION brings together a former scientist, a story consultant, and an improv actor to give you the critical thinking of science combined with a century of Hollywood knowledge in the creation and shaping of stories. The material is relevant to lawyers, politicians, public health workers, educators, activists-- everyone. In today's "Twitterfied" world, CONNECTION provides the narrative tools for effective communication. 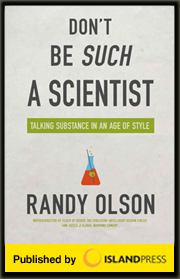 The "ABT framework" comes to life in this exclusive blog by Dr. Randy Olson and the importance of narrative for scientists everywhere. Weekly insights into the method of sharing information in a less boring way. After critiquing the value of blogs in his book, Randy Olson created The Benshi to be what he calls his "on-line journal." It differs from a blog in that there are no comments sections, only two essays or interviews are posted per week (every Monday and Thursday morning), and all content, while written by Randy Olson, is edited by Ryan Mitchell. The central purpose of The Benshi is to delve deeper into the topics addressed in "Don't Be Such a Scientist," with the most important focus being on the use of narrative structure and storytelling as a means of reaching a broader audience with science.